​Nottingham Cleaning Contractors specialises in Office Cleaning Services. ​Click here to call Notts Cleaners. As a business, you’ll know how detrimental it can be when your staff are off sick and, as a result, you’re certain work isn’t getting done as quickly as you’d like it to be. An unclean office environment actually has a significant impact on the general health of your staff, so using our Office Cleaners in Nottingham and benefiting from our superior skills will ensure better health and less sick days amongst your staff, and will have them happier and sharper. What can you expect from our Office Cleaning Services in Nottingham? Telephones: Typically have 25,000 germs per square inch on them. Water Fountains: On the spout – 2.6 million bacteria per sq inch. Keyboards: Over 250 times the amount of bacteria found on a toilet seat. Desks: Over 400 times the amount of bacteria than is present on a toilet seat. Elevator Buttons: The key with the most germs is the first floor key, so go to the second and walk down! Restrooms: Toxins present on just about every surface, so it’s always got the most germs lingering. 2. Wide variety of experience. Our professional cleaning service provides commercial office cleaning solutions for many kinds of businesses in the Nottingham area. These include Real Estate Companies, Support Centres, General Office open plan Spaces, Accountants, Lawyers and all form of Consultants and many many more! 3. Rest Assured. 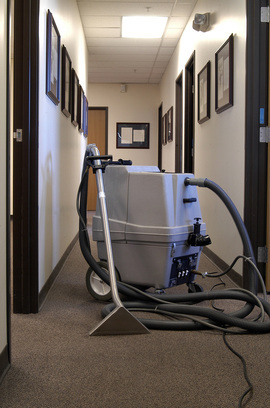 You can be rest assured that your offices can be a great deal cleaner when you use our professional services. This will allow you to focus on your business with a full complement of staff, knowing that your office is a cleaner and healthier place to be spending your time. 4. Value for money. Our Office cleaners costs in Nottingham are kept to a minimum by using local cleaners. When asked what do cleaning services charge, we have to be honest and ask for some details of the task required before we can give a quote. We have several cleaning services offers in Nottingham, which vary throughout the year. Just give Nottingham Cleaning Service a call today on 0115 824 2700 to learn more about our excellent Notts office cleaning services or put your details in our quick, easy to complete the contact form on the right. We will respond promptly and will answer any and all of the questions you might have!